A new art buzzword is “neuroarthistory.” It’s the brain-blatt of a couple of U.K. professors. Art history expert John Onians of the University of East Anglia, and neuroscientist Semir Zeki of University College, London, using new scanning techniques, are probing the brains of artists, including dead ones. They are attempting to answer questions such as: What went on in the brains of Monet, Leonardo, and the ancient cave-painters? What goes on in the brains of today’s working artists? How do the brains of amateur and professional artists differ? Why do artists in certain times or places have certain visual tastes? “The most interesting aspect of neuroarthistory is the way it enables us to get inside the minds of people who either could not or did not write about their work,” says Prof. Onians. 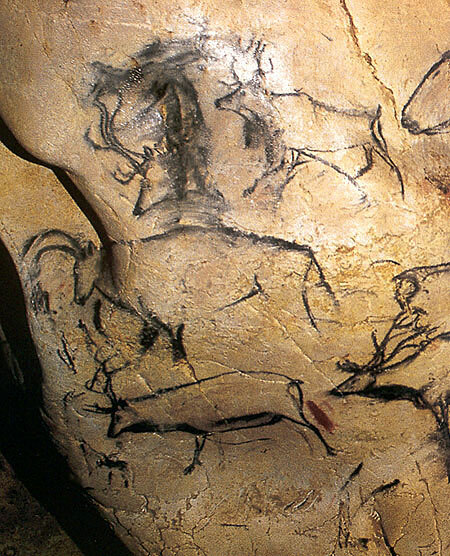 “We can now understand much about the visual and motor preferences of people separated from us by thousands of miles or thousands of years.” The profs speculate on 32,000-year-old art in the cave of Chauvet in France. “No approach other than neuroarthistory can explain why this, the first art, is also the most naturalistic, capturing the mental and physical resources of bears and lions as if on a wildlife film,” says Onians. Examining these cave drawings in person, I noticed effects not unlike modern drawing. There’s the characterization of species differentiation through broad expressive strokes. For example, the back-lines of the rhinoceros-like beasts on the left side of the cave — repeated five times — are strong and weighty, merging directly into their tails. I’ve often wondered if these “primitive” drawings were done without the interference of advanced language skills. Did these artists have words such as “back” or “tail”? According to the profs, neuroarthistory can also explain why Florentine painters made more use of line and Venetian painters more of colour. (Did they? The sophisticated use of colour includes lack of strong colour.) Jargon such as “neural plasticity” and “mirror neurons” is used to explain the “formation of different visual preferences and artists’ deportments.” For example, the profs mention that Europeans such as Leonardo stood before vertical canvases while the Chinese sat before horizontal sheets of silk or paper. Different strokes for different folks. Esoterica: A sensitive looker, by looking at the art of any age, can “read” energy, power, ignorance, understanding, carelessness, wonder, worship, laziness, honour, fear, humour, bias, denial, stupidity, and senility, among other things. Living artists evolve and develop by learning to see these sorts of nuances in the works of themselves and others. In the meantime, we all look forward to seeing the posthumous brain-scans of long-empty skulls. The walls of a cave in Chauvet-Pont-d’Arc in Southern France. These 32,000 year old drawings show 13 differentiated species. Probably part of hunting expectations and exploits, some scholars believe that they represented spirits and were produced during halucinatory shamanistic trances. The strong-backed animals referred to in my letter are on the left in the middle picture. Note how many of the animals are depicted in simplified, expressive and flowing lines that seem to capture an essential energy. We can learn from our elders. What will “neuroarthistory” tell us about today’s art? What do we want from art? Will this study inform us or does “Art” simply happen? “We can now understand much about the visual and motor preferences of people separated from us by thousands of miles or thousands of years,” says Prof. Onians. How is this accomplished? Is there more information available? (RG note) Thanks, Florence. And thanks to those who were also curious. These brain scanning profs are, as yet, a little light on the findings. I’ll certainly report if they rattle our bones, cause I’m curious too. I would like to have the chance to read a serious article or book written by Onians or The Zeki. I looked it up on the Internet but did not find anything. If you ever find such an article, please let us know. 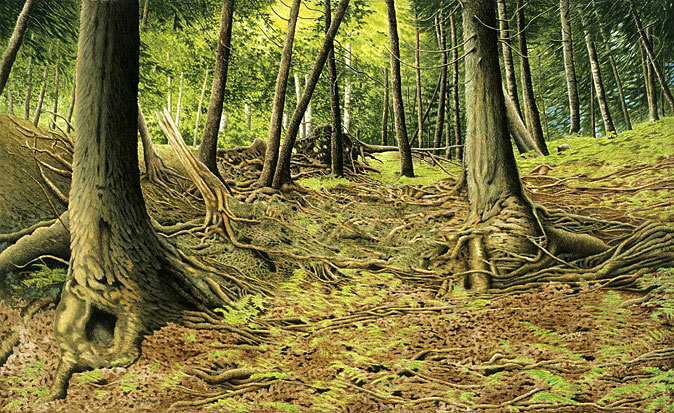 Speaking of books, do you know the one (very expensive unfortunately) published by David Hockney a few years ago, Secret Knowledge, rediscovering the lost techniques of old masters. Despite the title it is absolutely modern thinking and mostly about the use of various projection devices as far back as the 16th century up to our time. (RG note) Thanks, Suzanne. The brain scan findings were reported to have been presented at the “BA Festival of Science,” held in Norwich, UK, on September 2nd to 7th of 2006. The professors’ book Neuroharthistory is slated to be published soon. We have debate about David Hockney’s book on our site here. I’ve witnessed how easily the brain is led astray by conditions. It picks short-term comfort so often instead of long-term solutions, unwilling to see that it will lose so much more real satisfaction in the process. How often it advises the artist to leap into a work without proper planning and then complains the whole time that the eventual fix-up is painstakingly, and often unsuccessfully, performed. It encourages making do with insufficient materials rather than hold out for the proper gear, then it wastes further time attempting to find other people or conditions to blame for the unwanted results, rather than admit that it again preferred the short-term comfort of just beginning the project, rather than the strain of securing proper materials. Our brains are so often not working with us, but against us, and we need to see where our brains are operating from past ideas and hope of immediate rewards, rather than from the unadulterated truth (a word which seems to have gone out of style). I think we need to put some space around our brains instead of believing them, ever questioning our thoughts and actions, rather than following and defending them. How difficult it is to follow this directive. The brain is cunning and clever. It knows how to circumvent facts in its perpetual quest for its ever-changing ideas about idealized forth-coming comforts in what is really an attempt to return to the instantly gratifying state of living in the womb. Hmmm… maybe those lines in the top left second photo are nothing more or less than “the artist trying to get his line placement correct.” I know I struggle with line misplacement. I can not imagine I am alone in it. He/she probably didn’t consider that their drawings may be viewed and dissected some very many years into the future! I always admired the creativity of the caveman in his complete isolation. Where was his audience? Did he really leave a message to the world knowing that he would die? 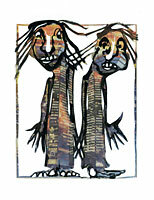 I tried to put myself once into his shoes, if shoes he had, and I painted a series of Rock Art paintings. If it was hallucinatory shamanistic trances he had, he found out like me that when you drink champagne you draw better. A more rigorous yet potentially more fulfilling inquiry would be to explore how the viewers respond in the viewing of art –- for the mind to create experience and meaning. Eye movement studies of viewers are more readily available to practice and to research. The eye movement required for the mind to interpret experiences is the same as for the actual experience itself — that’s why visual art and movies are so involving. We have a little outer experience and come back into ourselves when we visit the artist’s mind via the painting. No guessing. The live viewer can answer questions, too. Having studied and practiced painting in both Europe and Asia over the last four decades, I have come to a non-scientific aha of thought on the body psycho-physiology or physical psychology of the act of painting. The European painters felt the full body integrity of standing, also with the ‘horse straddle’ easel, while the European culture of chairs is physically inhibiting regarding body balance in the legs and spine. 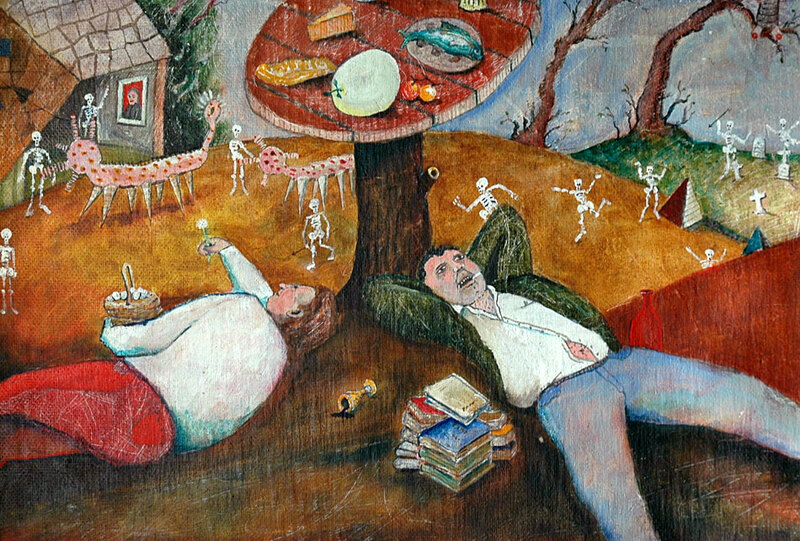 Both reflect in paintings and studies by artists as the picture plane reality of eyesight. The Asian practice of the Za-Zen situ gives the sitter full spinal integrity and inner balance for the more internal vision portrayed in the art. How do these scientists plan to examine the brains of cavemen? 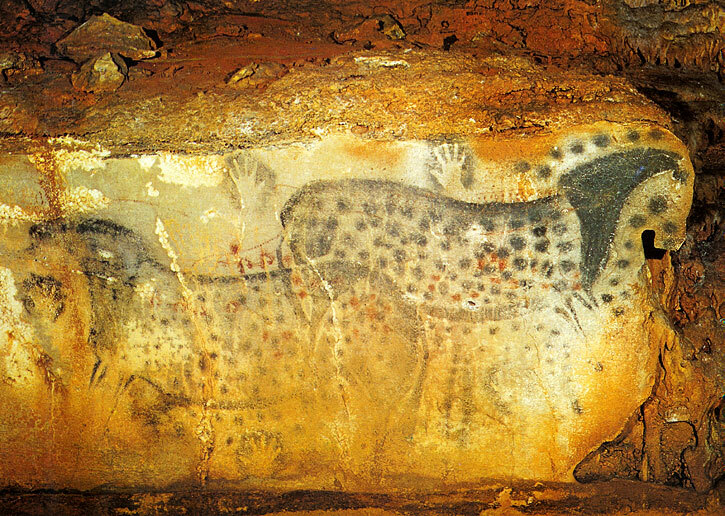 Every year of my 26 years of teaching art, I would show slides of the cave art and the images never failed to impress. This particular image haunts me the most as it is one that I first experienced more than 20 years ago in France. To go into the cave is a marvel in itself. To imagine one of these hunter/shaman going down into these dark places with uneven ‘floors’ at foot, dangerous protruding rock above and often water flowing through, not knowing where they were going or how many passages and caverns existed, is almost unimaginable today. It was a walk in the dark so to speak. That, is what I used to tell my students. Painting is like a walk in the dark. You have to take a risk to try something new in order to grow, change and develop. 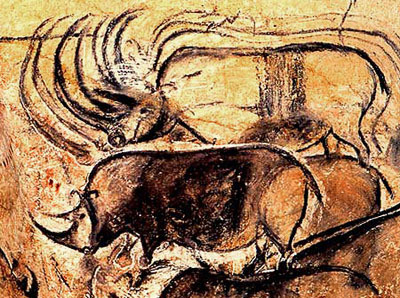 Not only did the cavemen risk to get to these secretive places but then they proceeded to make the most astounding images with the most ingenious tools and pigments. If there is an example of knowing your subject, this is it. They depended on the animals to be there and were at the mercy of natural phenomena, migrations and abundance. The animals meant everything to them and as such they had to invoke, out of shear necessity, the very souls of those animals on the walls of the caves with those sticks and earthy concoctions. Incidentally, they were sometimes proud of their work too as those endearing hand prints must imply. I have a great idea. Why don’t we start up a project where we would make paintings of all the scientists we can think of, live and dead, as a reciprocal project to the “neuroarthistory.” Let’s call it “hogbrushscience.” The objective of the project would be to express the science through art, as a coupled effort to explaining art through science. I love art and I love science, but I cringe at these two worlds colliding. I think that the expensive brain scans will show just a bunch of ordinary folks that from some reason made wonderful paintings… use those scanners for medical research. The scientist in me would love to know exactly how an artist decides to draw a lovely or an ugly line, but the artist in me doesn’t want to be told by a scientist. Often I think the proclamations made about artists by scientists are ridiculous hyperbole. I’m guilty of that myself sometimes. While these investigations can be amusing exercises to read and think about, often I find their basic assumptions and questions highly flawed. They’d be better posed as a query. Note: a query differs from a question in that it suggests a reservation or disagreement. The “neuroarthistory” of art history expert John Onians and neuroscientist Semir Zeki being among them. “What goes on in the brains of today’s working artists?” That’s simple to answer; we’re all nuts. “How do the brains of amateur and professional artists differ?” That’s simple too; amateurs copy other amateurs while professionals know to copy from masters. “Why do artists in certain times or places have certain visual tastes?” That’s simple to answer: style and taste manifest under the influence of the relevant culture and period, then get churned up in the mixmaster of the psychological makeup and skill of the object’s creator. They’ve tried to “explain why Florentine painters made more use of line and Venetian painters more of color,” perspective was all the rage, a fashion of the times and perhaps they neglected to consider that some colors were either extremely expensive or unavailable at certain times or in certain regions. Next day delivery of manufactured paints didn’t exist at that time. Artists made their own paints and mediums. And ‘vertical canvases vs. horizontal sheets of silk or paper’ are merely ways of controlling the different mediums. These questions and their investigation seem to expose these two scientists’ fundamental lack of knowledge and their naiveté. 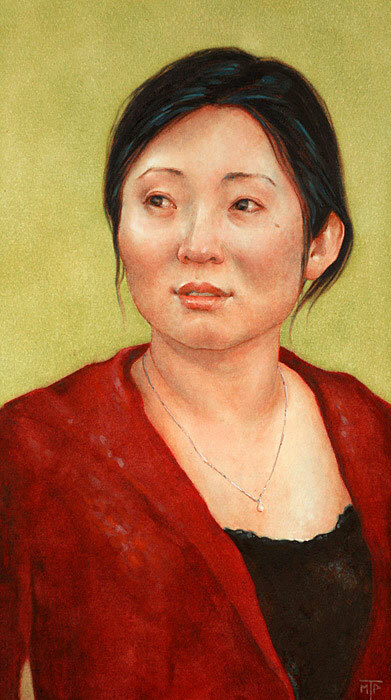 Often the question is why colors such as burnt umber or burnt sienna are used for under studies. The simple answer is: these two colors are extremely rapid drying colors with enormous tooth. Tooth is important as it allows the successive layers of paint to bond to the understudy. Plus, in days of yore, the pigments were readily available, dug up in the back yard and roasted in the oven –- very inexpensive. 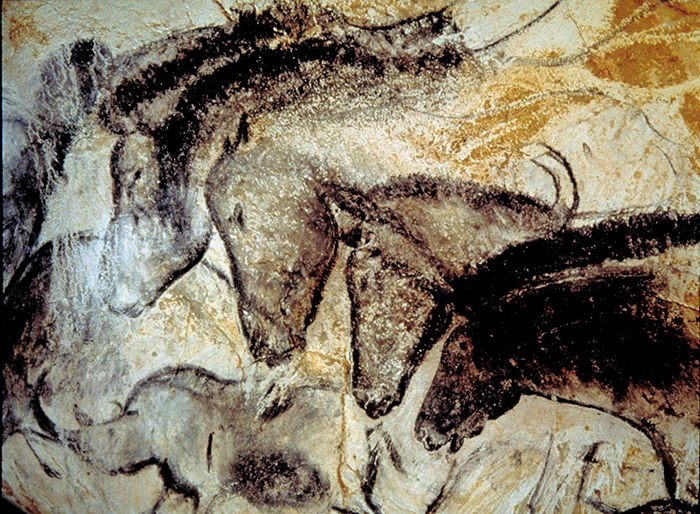 Why no ‘bad’ cave art? I would not hold my breath while waiting for neuroarthistory to reveal anything of particular significance. Even the word they coined to describe what they are doing is inarticulate at best. The cave people left us no brains, but only empty skulls. I have no way of knowing, but I doubt that Leonardo’s brain was put in a jar. If Van Gogh’s brain was, it has a bullet in it. These professors obviously have very little to do, and if there is any difference between the brain of an amateur artist and a professional artiste, I will eat my beret. 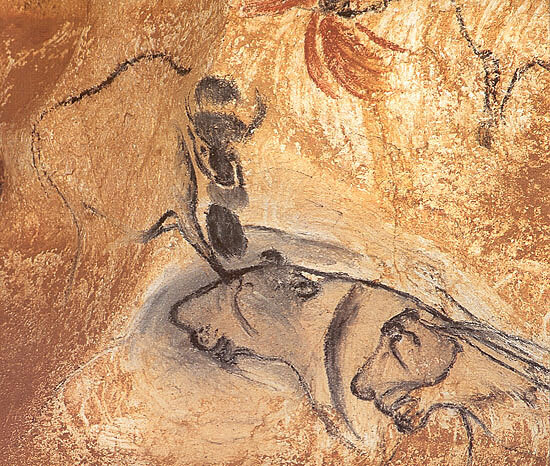 There are some things about cave art that really do puzzle me, however. 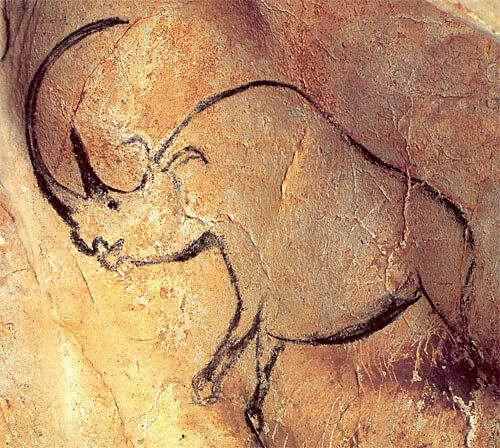 Why have we never found a cave full of “bad” cave art? “Stick figure” bisons, or something like that. Did exceptional drawing skills just pop out of nowhere? It seems so. 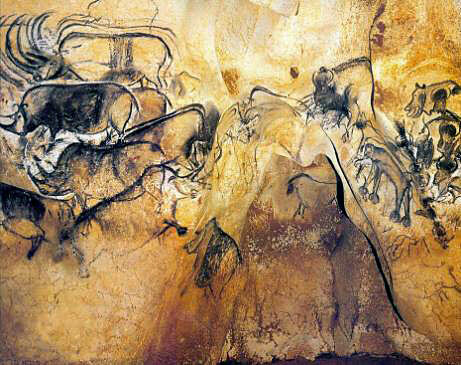 I have also wondered if the cave art was produced by cave men or cave women, or both? And, don’t you think that the cave people also painted the exteriors of their caves? That, of course, all got washed away in the wind and the rain, but the possibility does raise questions. 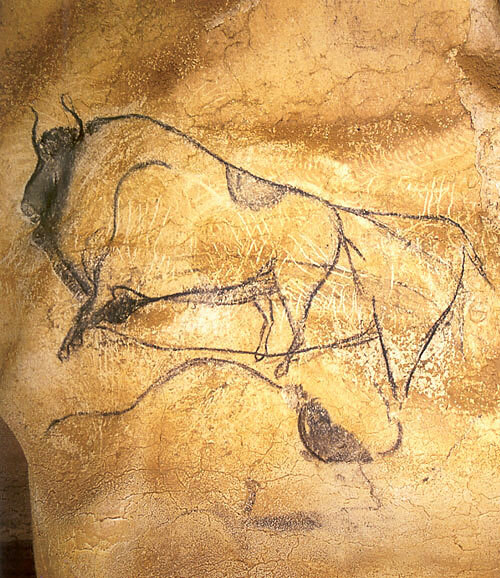 In response to your suggestion that the caveman drew so vigorously because his language skills had not yet evolved, reminds me of a little autistic girl I read about some time ago. Her name was Nadia and she had an inborn knowledge of perspective and foreshortening. However, as her verbal communication increased her visual communication slipped away. I recommend The Mind in the Cave by David Lewis-Williams (2002) and The Nature of Paleolithic Art by Professor R. Dale Guthrie (Emeritus Professor in the Institute of Arctic Biology at the University of Alaska, Fairbanks). In 2006 he proposed that the art was largely produced by adolescent males and is comparable to modern teen graffiti. In part, his theory is based on the size of the hands that produced the art. 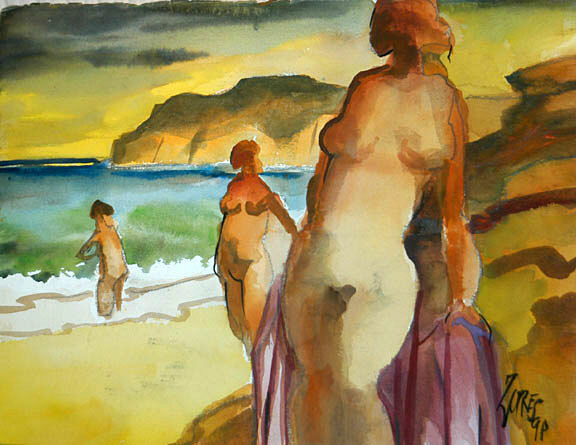 Milford Zornes is a fine watercolorist from the California Scene Painters’ generation who, in spite of macular degeneration is still painting (in black ink only, now) at the age of 97. He developed a “style” by hard work and “not worrying” about what other artists did and the styles that were passing by. At 97, he has certainly lived through many styles and trends in art. His life story is fascinating. Here in Southern California he continues to be an inspiration to hundreds of artists and students, even by his very presence at any art gathering. A man of great integrity as well as a fine artist, I was fortunate enough to take a workshop from him a couple of years ago. “Learning from a Master” truly describes the experience. 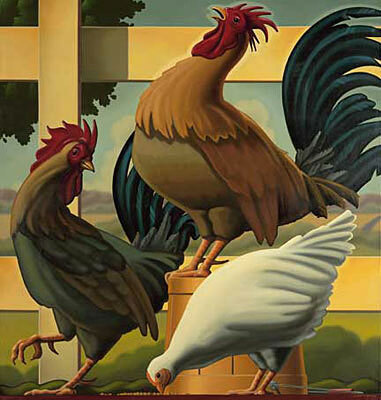 I have been painting for 40 years, selling hundreds, teaching, demonstrating and Lois McFarland, judging. I am now 87 years old, and because of not “showing” in recent years, but still painting, I have a studio bursting with paintings. I don’t wish to leave the problem to my offspring (very busy with their own interests), whose cupboards, shelves and studios are also bursting. What to do? I am thinking of having a “down-sizing sale” for several days and just stacking them (and frames, stretcher bars, still life objects, and all the other paraphernalia ) with the price above them, maybe taking bids on the more valuable artists I have collected. Have you any ideas for quick disposal of this problem? 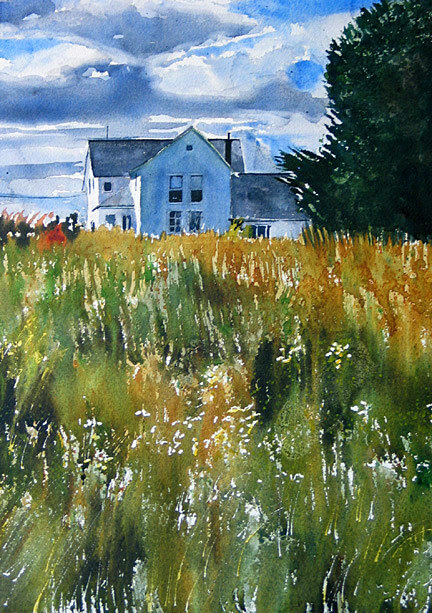 By “quick,” I find the task “very emotional,” to say the least (when I go to my studio to think about the process), so many memories of wonderful teachers, wonderful trips, wonderful models, and fellow artists… I will continue to paint, but would feel “freer” with this problem taken care of now. (RG note) Thanks, Lois. 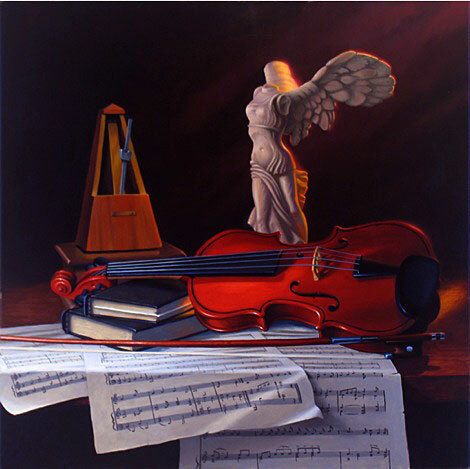 Something you might consider is gifting some of your paintings to a noble cause. A call to a local Rotary or Lions Club might get the ball going. I’ve seen this idea work like gangbusters. Ask an authoritative co-creator to help you select a group of works and let a Service Club sell them on TV, the Internet, or in a live auction as a fundraiser for their own charities. This way an entire club membership will help you solve your problem — and it will certainly do something for a local hospital or an African village. I’ve never yet seen any artists being able to include their paintings in the big check-out. There are no pockets in a shroud. At the moment I am having an exhibition in Stuttgart. It is in a house which belongs Ursula Kirchner, to the association of women artists (Bund Bildender Künstlerinnen) for a hundred years and it was donated by Queen Olga, a Russian Grandduchess. In those days Württembarg was a Kingdom thanks to Napoleon. The association exists for about 110 years and was the second association of woman artists founded in Germany. It lies in a lovely garden at the slopes of Stuttgart. After the war, when I was 14, it was not possible for young people to go to University or Art Highschool. I became a housewife and raised 3 children. But it was possible to make papercuts, as I had done when I was a child. We got care-parcels from an Aunt in USA and I sent her papercuts in return, which she collected over many years. Making papercuts was never taught in Art schools and so I had to teach myself. It is an Art Pobre, because you can use any paper that you can get hold of. One of our philosophers, Sloterdijk, says that every good artist is an “Autodidact” because his work is unique and it is his own invention. Technique can be learned, but ideas are produced in an imaginative brain. (RG note) Thanks, Manuel. I also just wanted to thank all of the artists and others who contribute wonderful material to these clickbacks. Opening this inbox is a remarkable experience and I’m deeply honoured. When we’re looking for a representative group of letters to present, we tend to leave out the personal stuff. For example we will absolutely never include adulatory items like, “I simply can’t get juiced up in the morning without your letters.” Funnily, motifs seem to run in schools. For example, the letter before last brought four different mentions of “juice” from four different artists: “Thanks for juicing me up,” said one. “The last few letters have been full of good juice for me,” said another. “For me, Robert, unfortunately, your last few letters have lost their juice,” said yet another. “You have lost juice,” said an unsubscriber. Incidentally, if you have five minutes and you don’t mind the odd laugh, you might like to take a look at some short stuff that subscribers have written about the twice-weekly letters.